Below you will find our King Arthur and the Knights of the Round Table Story Collection. 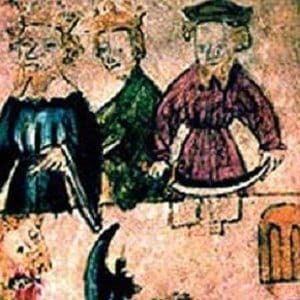 Such popular stories as King Arthur Legend of the Sword in the Stone, Sir Gawain and the Green Knight, King Arthur and the Half-Man and more! King Arthur is a legendary British leader who is believed to have defeated the Saxons and established an empire over Britain during the 12th century. 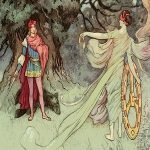 These legend stories of folklore tell of his many adventures in bravery, heroism and love. 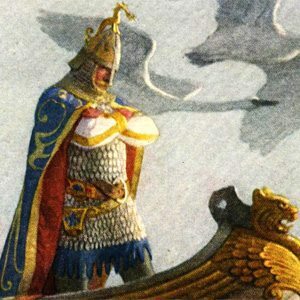 Enjoy our King Arthur legend story collection. A Story of Courage, Justice and Self-Awareness. 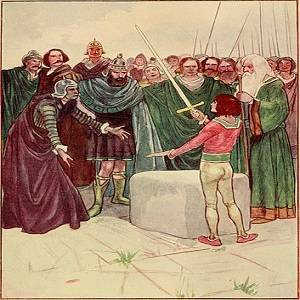 Merlin the Magician places a magic sword in a stone…whomever can pull it out is the rightful king. An opponent threatens a young King Arthur in a battle of body and mind. King Arthur must answer the riddle: what it is that women really want, most of all. And Now, Enjoy the Reader’s Theater Play Scripts for the Stories Above! If you enjoyed the King Arthur collection of stories, then you will love our other worldly tales! VISIT OUR ENTIRE COLLECTION OF STORIES FOR KIDS HERE! Stories to Grow by presents our award-winning collection of Bedtime Stories for Kids. Our Children's Stories consist of Classic Fairy Tales, Folktales (or folk tales), Riddle Stories, Legends and Myths from all over the world! Our Moral Stories for Kids each contain a positive message to leave a lasting impression. Explore our collection of Children's Stories ~ Folktales from around the world. Folktales (or folk tales) are stories that have been shared from generation to generation by word of mouth. Folktales consist of Fairy Tales (or fairytales), Animal tales, Legends, Myths and Riddle Stories which you will find here! Our short moral stories for children are Kid-tested, Multicultural and feature positive moral messages to leave a lasting impression on the children in your lives! You will find funny, heart-warming and inspiring stories all with positive morals. Our folktale stories make wonderful Bedtime stories or the perfect Moral stories for the classroom to build character and teach Language Arts skills. Our short stories are multi-cultural, kid-tested and all contain positive moral messages. So share one of our stories with a child today and create a lesson that will last a lifetime. What does Kid-tested mean? Kid-tested and approved means they were edited until they were loved by our kid-testers. When kids love what they are reading, they internalize the stories. Since all of our Stories and Reader’s Theater Play Scripts have positive moral messages, that’s exactly the point! We guarantee that kids will love our Stories & Scripts and so will you! Did you know? Over 20 of our Award-Winning Children's Stories, such as Two Brothers, Haku's Power and The Three Princes, have been featured in educational textbooks all over the world, including such major publishers as Cambridge Press, Oxford University Press and Houghton Mifflin Harcourt. They have also been featured in such State tests as the Florida State Assessment, Utah Sage Assessment and North Carolina State Assessment, as well as Nationwide tests such as the Common Core Exam and ETS Winsight Assessment. Happy Storytelling!